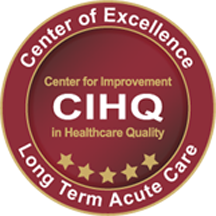 CIHQ’ Center of Excellence (CE) programs are designed to recognize hospitals that meet or exceed national standards and evidence-based guidelines in the care, treatment, and service provided to its patients and staff. CE programs are available to any hospital regardless of their accreditor. Specifically developed for long-term acute care hospitals (LTACH), this designation recognizes exemplary performance in the clinical management of medically complex patients with extended acute care needs. 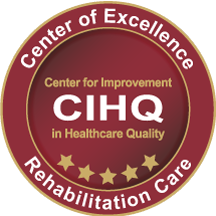 Specifically developed for rehabilitation hospitals and inpatient rehabilitation care units, this designation recognizes exemplary performance in the clinical management of patients requiring rehabilitation and medical treatment. Demonstrate to your staff and your community that you are committed to a safe work environment. The CEEHS designation recognizes hospitals that have successfully implemented specific strategies to reduce risk in the work and care environment. Specifically developed for acute care hospitals, this designation recognizes exemplary performance in the clinical management of medically complex patients requiring respiratory therapy using evidence-based standards of care.